Peter J. Burns III: Death Knell For (Virtually All) ICOs? The headlines from 3 days ago promises to cause an awful lot of people to "pucker up" as the SEC begins its path to clear the decks of what they state are the unlawful Security issues of nearly 1000 ICOs.. Almost $22 billion raised in nearly 1000 ICOs...where did the money go? Certainly not to workable projects...and often merely funding the pipe dream of a (mostly) carefully written "White Paper" presented to investors. This may well be the modern day version of the old fable's byline "The Emperor Has No Clothes!" As an avid Start-Up Entrepreneur (www.peterjburns3.com) I often find myself in the forefront of new business trends but generally in the peripheral areas. See my ventures in the Cannabis Industry (www.cannabizinsiders.com) as well as my initial foray in Crypto (www.cryptechalchemy.com)...both on the service side of each industry. Well, in this blog, I am going to share how my direct participation in a wholly-sanctioned Utility Token with an actual product The HIC Travel Token (in the $7 Trillion Travel Industry) may well be one of the very few, fully functional and legitimate cyrptcurrencies on the Planet at this time. What started out a year ago as my introduction to a couple of Vietnamese-American brothers has manifested into a very significant travel enterprise with significant discounts at 1 million hotels around the world. See www.Travel.VN. What is relevant to this blog is the fact that my Vietnamese-American friends (now strategic partners) have simultaneously introduced the Hi-Tek Travel Token (www.hi-tek.io) which is the only cryptocurrency approved by the Vietnamese Government and which allows the holders of the Token to directly purchase significantly discounted travel for everyone around the world on its booking engine platform. The Travel Token can be used as payment for the travel offered on the Travel.VN and Prebook.com sites with immediate settlement with our booking engine and no merchant fees, charge backs or fraud due to its integration with the Blockchain technology. The Hi-Tek Travel Token solves the issue for booking travel seamlessly to anyone of the 4 Billion "Unbanked" in the world through the fully KYC-compliant eWallet issued by Hi-Tek. All of the funds paid for the Tokens (Current Value $.10) are escrowed to make immediate settlement with the booking engine upon presentation of the Token to book travel. This means that the HIC Travel Token can never lose the value that was paid for it. Compare that to virtually every ICO coin's price after their offering. Of course, the underlying premise of investing in cryptocurrencies and to a greater extent ICOs, was the potential upside of rising values of the Coins. The speculative nature of the ICO Coins defaulted to the SEC's determination that the ICOs were in non-compliance of Securities Regulations causing the current chain of events that threaten to demolish most, if not all, ICOs that came to market. Posted on November 19, 2018 by Peter Burns III. So...we've all heard Earl Nightingale's famous recounting of the "Acres of Diamonds." Well, here I sit in beautiful Southern California only blocks from the mighty Pacific Ocean contemplating my next "(Ad)venture in Capitalism." This time, I am reminded of Earl Nightingale's true parable, "Acres of Diamonds" and I have decided that my own "diamond mine" is staring me right in the face. Today, I am going to start a concerted effort to reach out to my individual Linked In contacts (numbering over 12,000 and growing each day) one-by-one, citing possible collaborations involving any of the dozen current businesses that I have on my plate at any one time. In my over 4 decades of entrepreneurial start-ups (with around 150 actual business launches of my own) I know a little about a lot of industries. In recounting my "history" with an author who writes for The Huffington Post and Forbes, we discovered together that some of my previous little start-ups actually "pioneered" no less than several very significant industries. He may well soon be writing that accounting in an article that may find its way into one those major publications that he contributes to. In any case, I am about to embark on mining my own diamonds in the form of doing individual reachouts to as many of my Linked In contacts as possible, starting to dialogue with them on possible collaborations and offering any help for them that my vast network and experience may provide. At the very least, I may make some great new friends. However, knowing my Linked In history of having launched at least three excellent business partnerships (The Entrepreneur Credit Card (www.entcreditcard.com/imagine, Avia Travel Services (www.aviatravelservices.com) and the Hi-Tek Travel Token (www.hi-tek.io) from direct Linked In contacts....the sky is truly the limit. Learn more about the "(Ad)Ventures in Capitalism" of Peter J. Burns III at www.peterjburns3.com. Posted on November 10, 2018 by Peter Burns III. Peter J. Burns III: Sometimes I Have to Admit...Being An Entrepreneur Has NOT Been The Easiest Path...And Then I Wake Up! I met the fella in the picture above who actually invented the ear plug. I was living in Santa Monica and mutual friends brought me to meet this gentleman who owned the yacht and helicopter. The guy REALLY enjoyed his spoils and I sure had fun as his guest at Marina Del Ray's yacht basin. Now, so far I haven't yet hit the "Big Time" like this entrepreneur but it does not mean that I will stop trying nor that I won't achieve this for myself. The one thing I have always had and God willing always will have...is freedom. Extreme monetary wealth will either hit for me or not but my freedom is a given since I owe no allegiance to any corporate employer...before, now or ever. I just couldn't do it like he does...to operate within such a highly regulated environment as the Vice-Chairman of a NYSE company and to be at the mercy of so many Regulatory bodies and others (shareholders, Board members, stock analysts, financial reporters, et al.) No Thanks. Of course, the perks of being a "Media Titan" are pretty impressive but...a hearty "No Thanks" and a sincere "Good Job, Little Brother" is offered to him, of course. I am proud of all of my siblings, even though we have taken very different paths in our work lives. America truly is the "Land of Opportunity" and there is plenty of that to go around for us all. I, of course, advocate the self-empowerment of entrepreneurship and business ownership. However, whatever your path...it is always better in America! Posted on November 7, 2018 by Peter Burns III. In 2013 I was a volunteer at a well-respected International NGO in their Ethiopian outpost. I traveled the country on behalf of the NGO visiting Refugee Camps and experiencing the great works of this organization, acting as their de facto Entrepreneur-In-Residence during my 6 months in Africa. In Harar, one of the Easternmost cities in Ethiopia, I chanced upon witnessing first hand a most unique business, in its 2nd generation...feeding a pack of wild hyenas and having your picture taken as a keepsake. This business actually supported an Ethiopian family, sent them all to school and provided a comfortable lifestyle. It was absolutely remarkable and the history of this entrepreneurial endeavor is captured in a draft story that was written for me on the link below. Well, of course I had to try it out myself and I found myself driven by one of the taxi drivers out into the wilds surrounding Harar to meet the "Hyena Man" himself. It was in the pitch black as we were instrucred to turn off the car lights while a pack of the wild beasts slowly creeped into the area....only seen by their yellow eyes at first. My taxi driver translated as the "Hyena Man" described what would then happen. He would prepare a piece of raw meat on a stick and I would offer it to one of the hyenas circling around us. My taxi driver would snap a picture of the event, we'd pay the "Hyena Man" and I'd be memorialized by the photo of this most unusual activity. Of course, after the intial shock of the experience, my entrepreneurial mind kicked into gear and I couldn't help myself but capitalize on this opportunity...which is captured in the story above. The power of entrepreneurship around the world is a true testament of the ingenuity of mankind around the world and I am so honored to be part of it. Posted on November 4, 2018 by Peter Burns III. Every one of them needed money to start and grow. Banks are not an entrepreneur's friend...never have been and never will be. As a young entrepreneur in need of capital, I had to get very clever in developing any number of alternative financing strategies. In 150 start-ups, I NEVER used a bank nor did I use Angel or VCs. Instead, I used every imaginable source of "Alternative Capital" to make my dreams a reality. I took that hard-earned knowledge and helped many others access these methods. In recent years I've started the "Entrepreneur Credit Card" (www.entcreditcard.com), which proved to be a ready source of unsecured capital for many people. For those not qualified to receive immediate approval for the loans from the "Entrepreneur Credit Card," I created a credit repair/enhancement program at www.entcredit.com. These innovations were all well and good but the fact remains that I am a "Start-Up Entrepreneur" and simply have no interest in operating ventures after I create them and prove them viable. A quick background on Midas. We incorporated in April of 2004. Since that time we've obtained over $1,000,000,000 on behalf of over 7000 clients. Additionally, we have successfully repaired/rebuilt/restored the credit of over 35,000 consumers and small business owners. Through all that time we've maintained an A+ rating with the Better Business Bureau. We are particularly proud of that designation as normally it is reserved (in our industry) for accredited members only. Midas was one of the original unsecured loan stacking companies. We believe we could be the oldest one in the country but have no way to verify that. Midas has an extensive credit restoration/education program. We have the capability of erasing "anything" off a credit report in 30 business days or less. Our Elite 30 program is one of only a handful in the country that can do this. In a few moments you will understand its importance to you. Additionally, we have our traditional credit restoration/education that is more economical yet takes as long as six months to complete. Unsecured personal loans - we have the capability of stacking as many as 10 personal loans on top of each other. These loans can have a cumulative amount of as much as $250,000. It is predicated on four things. Credit score, credit utilization ratio, current depth and income. The score is merely the baseline. From there the lender will look at the credit utilization ratio. A perfect client will have 10% +/-. We can go up to 40%. Secondly they will look at how responsible you've been with current large lines/loans. We like to see our clients have at least two lines/loans with a limit of $10,000 or more. Finally, you must demonstrate that you have the ability to repay the loan. We like to see six figure incomes but have obtained as much as $150,000 for clients with $75,000 in annual income. Business credit cards- Business credit cards act exactly like personal credit cards with the exception of one thing. You must qualify personally with the credit qualifying criteria mentioned in #1 BUT they do not report your utilization to the personal credit bureaus. Therefore your credit score stays intact. You must have an LLC, S or C-corp but that's about it. The 0% interest is only available in about half the cards we vend. Our secret sauce at Midas is actually no secret and it's pretty simple. We're experts at how the unsecured markets work. Our average loan for almost 15 years has been $145,000. Think about handing out $145,000 to each of over 7000 business owners! We track daily the trends and have someone in our organization that is scouring the internet and the lending markets for new products. But most important is probably that we aren't middle men. 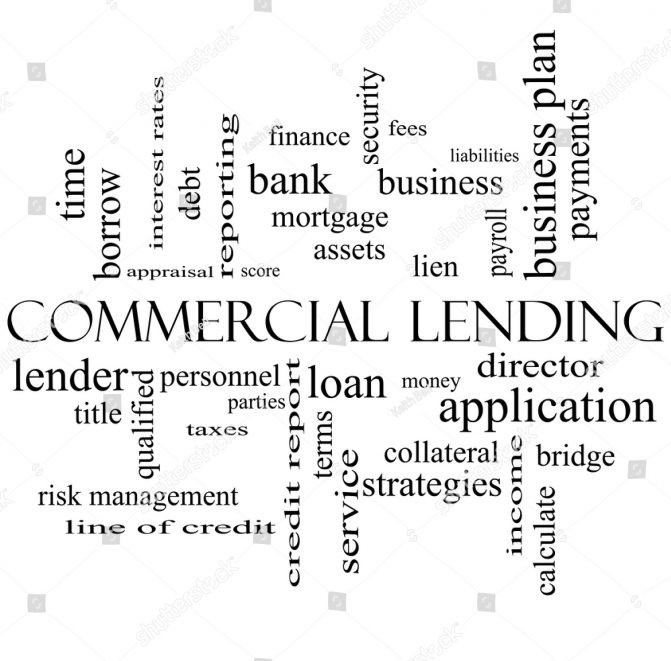 We are direct to the lender(s). We also take a keen interest in each of our clients. I would encourage you go to our LinkedIn page and read some of the two dozen recommendations people have given us: https://www.linkedin.com/in/darrellhornbacher/. We have hundreds more on our websites and in our database. We get these glowing recommendations because we're completely transparent and we treat our clients exactly how we want to be treated. Learn more about the author's "(Ad)Ventures in Capitalism" at www.peterjburns3.com. Should you reach out to Midas-Financial...tell 'em I sent you! Posted on October 6, 2018 by Peter Burns III. We have all heard about this...the Post It being created from a failed 3M effort in creating a super-strong adhesive, the microwave oven...invented from a scientist fiddling with a microwave-emitting magnetron and even Play-Doh...born from a paste to clean filthy wallpaper...all successful consumer products born "by accident." Well, I am now in the middle of "marketing and monetizing" a Utility Token (www.hi-tek.io), as a unique payment method for the travel industry...the first and only such Token in the world. By successfully bringing in an extensive travel booking engine platform to my Vietnamese partners and facilitating the acceptance of that Platform in using the "Travel Token" as a new method of payment for those travel services offered....I quickly realized the far-reaching uses of this unique payment offering. This "Travel Token" has many as-of-yet unheard of properties in the "Wild West" of crypto. For instance, every "Travel Token" sold (offering price of $.10) is fully secured for the purchase price remitted in a secured escrow account, used to make immediate settlement (with the booking engine provider) of the travel purchased with the "Travel Token," when presented. 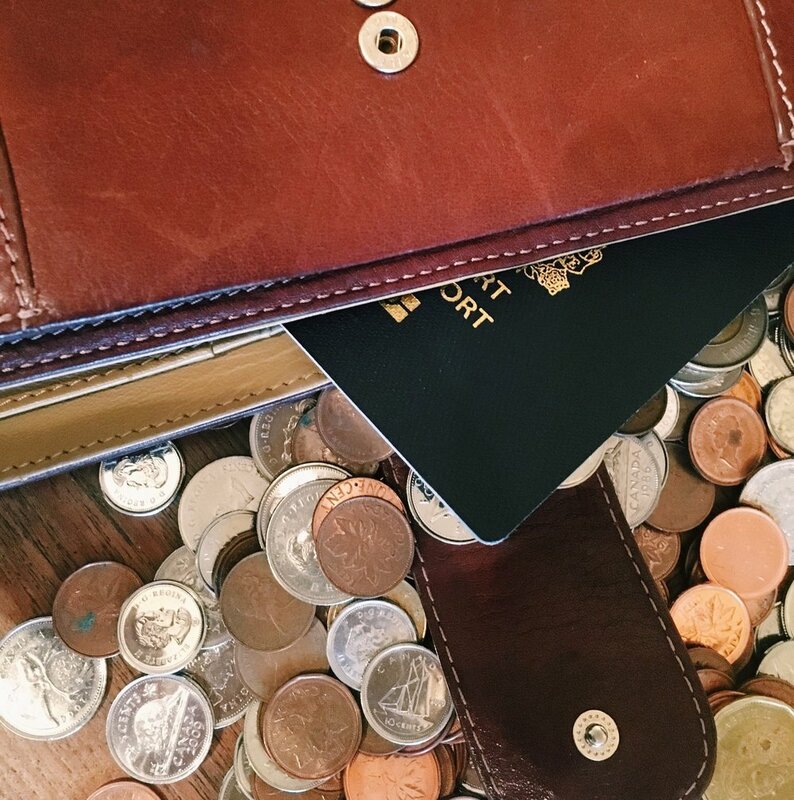 Each "Travel Token" is immediately redeemable in the equivalent value of highy discounted (20%-70% of best Net rates) travel options at 1 million hotels around the world, airfare, cruises and auto rentals. The current nature of the crypto world is to "sell a dream, " with no substance backing up that dream. However, our "Travel Token" has a definable and secured value for every Token sold...period. In 2-3 months time, the Company's own Exchange will be functional, allowing the unused Tokens to be redeemed for fiat (cash) or even into other select cryptocurrencies like Bitcoin...at the current price (never less than bought for) of the Token's value. Well, one of the "unintended consequences" of introducing our "Travel Token" and state of the art technology with fully compliant (KYC) eWallets and a streamlined process of instantaneous processing and "cash conversion" makes us an ideal solution for the Cannabis industry...merchant and client alike. One can acquire our eWallet (for free) and purchase our Tokens via any payment methodology (credit card, bank wire, etc) and then transfer these Tokens as payment to the eWallet of their favorite dispensary or grower (in case of sale between grower and dispensary) for an instaneous transaction. The dispensary receives full payment, sans merchant fees (save for a modest .5% transaction fee), there is no chance of a chargeback, settlement is instaneous when converting to fiat (or other cryoto) on the Exchange and best yet...it is fully compliant with the law and 100% transparent because of the Blockchain. In a series of ensuing blogs, I am going to explore all of the interesting uses of our unique "Travel Token" as one of the most innovative payment gateways on the market today. Reach me at peter@entcreditcard.com with your questions and suggestions of how we might collaborate. Learn about the author's entrepreneurial journey and "(Ad)ventures in Capitalism" at peterjburns3.com. Posted on September 24, 2018 by Peter Burns III. There is not a specific insurance policy to insure cryptocurrency mining equipment in the fastest growing business in the last half-century. Clients and Insurance Agents are guessing what policy to pick and are only picking 1 or 2 coverages with additional rider fees... adding up to be a fortune compared to what is actually being covered. The most unfortunate occurrence is the fact that claims are being denied because the investors don’t have the proper insurance to cover the intricacies of the operation, and no insurance currently exists to cover the specific needs of the operation. Mining Equipment breaks down with little or no warranty coverage for these machines... leaving the investors' assets and ROI in major jeopardy, while putting major pressure on project managers and coordinators. As a result, the mining rigs are producing no revenue during the down time during repair or replacement time... incurring additional costs that most operators do not account for in projections to investors. A specific insurance product has just been perfected that is just for Cryptocurrency mining equipment - designed by a cryptocurrency miner. NO MORE guessing on what policies and riders to choose. NO MORE purchasing multiple policies with no protection hurting your bottom line. NO MORE losing sleep at night wondering if your investment is protected! Electronic hardware and software, including mining data processing equipment, and components, including electronic components, are insured to a maximum recovery of replacement cost per machine. Electronic equipment means data storage devices, and program devices for electronic and electro-mechanical data processing or for electronically controlled equipment. 4. Business Interruption actual loss with a (maximum of $300 per month for 2 months per machine). 6. Damage as a result of power surge. Our company, Crypto Tech (www.cryptechalchemy.com) offers cryptocurrency mining rig financing which now includes full insurance coverage for your equipment. Existing crytomining operations of virtually any size may now also be coverered by our comprehensive coverage. Learn more about the author's many (Ad)Ventures in Capitalism at www.peterjburns3.com. Posted on September 23, 2018 by Peter Burns III. Peter J. Burns III: So It Begins! In only a couple or three months our very own Exchange will be completed and launched. This will give holders of our Travel Token the ability to buy and trade their Tokens for a variety of other Crypto and even cash them in for Fiat. The Tokens will never go below their tangibile value of the Travel Credits but certainly could possibly appreciate when a market is made by the Traders who will recognize its value and uniqueness. Truly, this offering is akin to "Having your cake and eating it too," in the fast-paced world of Crypto. Posted on September 6, 2018 by Peter Burns III. Now, at the "Twilight" of my career, indeed of my life...I have decided to put on the "Third Act" of my establishment of an entrepreneurial organization. The "First Act" was the "Young Entrepreneurs Organization" (YEO) in 1987, where I was one of its Original Members. (www.eonetwork.org). The "Second Act" was Club Entrepreneur, a 10,000 member strong group starting in Phoenix (https://www.meetup.com/ClubEPhoenix/events/12037861/) in 2006. The "Third Act" (and likely the Final One) will be the "Women Entrepreneurs Organization" (WEO)...now in the process of formation in 2018. Now, in 2018, I have selected a demographic to assist in making its way down the path of self-empowerment and financial security in the challenging waters of entrepreneurship....through establishing the "Women Entrepreneurs Organization." I am gathering select young ladies like Miss Emily Crooke (https://www.linkedin.com/in/emilycrooke/) and Miss Sarah Gallo (https://www.linkedin.com/in/sarah-gallo-3b4b9327/) to assist me in this epic adventure. I have also reached out to a remarkable leader of women, Miss Stephanie Nickolich (https://www.linkedin.com/in/stephanie-nickolich-1b5b1b9/) to ask her help to accelerate and guide in this worthy effort. I bring to the table over 40 years of hard-won experience in the world of entrepreneurship. I know what works...and what does not and I will endeavor to guide, nurture and support those fledgling and established women entrepreneurs as best that I can. To assist, I will provide the lifeblood of all business...access to money. Through my "Entrepreneurs Credit Card," established in 2017, I will provide much needed start-up and growth debt capital to credit-qualified applicants. (see www.entcreditcard.com) For those that need a credit "polishing" and boost before receiving my loan, I offer that at www.entcredit.com. Next, I can save a great deal of travel costs (hotels, airfare and even vacation villas) at www.prebook.com (use my sign-in at peterjburns3@gmail.com Scooters4!) to each of our WOE membership. These savings will augment the working capital needs of each Women Entrepreneur. My plans also call for a re-launch of my Institute for Entrepreneurship Curriculum providing relevant and proven entrepreneurial education for our Membership. Those courses played a key role in launching the College Of Entrepreneurship pioneered in 2007 and with some updating, should prove to be an invaluable teaching aid to our Women Entrepreneurs. The "Barrett Honors Entrepreneurship Program" (BHEP) will be resurrected, improved upon and offered to all of our Members. So, if you are a woman entrepreneur (or want to be) please reach out to me at www.peterjburns3.com to join my "Last Hurrah" in the fascinating world of entrepreneurship! Posted on September 2, 2018 by Peter Burns III. While cryptocurrencies, such as Bitcoin, represented a defined value, utility coins have a specific use. These token grant right holders the ability to use the blockchain network and its services, and – in some cases – vote on governance. You might think of utility tokens as a pre-paid software license, which is used to access services. “I believe every ICO I’ve seen is as a security,” SEC Chairman Jay Clayton testified before the Senate Banking Committee in February . Utility tokens, even as part of an ICO, may not be subject to such strict federal security laws. Utility tokens are not strictly investments. Think of them as a “digital coupon” for future services. There’s increased interest in utility tokens since the state of Wyoming recently passed theUtility Token Bill. The bill classifies utility tokens as neither a commodity (regulated by the Commodities Futures Trading Commission) nor a security (regulated by the SEC). As a new asset class, the bill excludes token sellers from security laws if they meet certain conditions. Caitlyn Long, founder of the Wyoming Blockchain Coalition said the law defines utility tokens as a new form of property. Property, Long said, is generally the purview of state law instead of federal regulation. Other states are considering new legislation. With utility tokens, in addition to less federal regulation, there is cost savings in legal and administrative filings, less record-keeping and duplication of records, and the automation of administrative tasks. With these advantages and potential legislation exempting utility tokens from strict SEC and CFTC regulations, utility tokens appear poised to grow rapidly and become more viable options for future ICOs. Travel & Tourism is one of the world’s largest industries, contributing 7.6 trillion USD to the global economy in 2016, of which online travel booking contributed $565B USD. Today, worldwide travelers can quickly search and book their hotels, car rentals, cruises, flights, trip visas online rather than through travel agencies. The money that visitors use for booking must go through many providers of intermediary or payment services (Banks, Paypal, VISA, MASTERCARD…) and then reach the service providers with long processing time, unfair foreign currency exchange, too many high fees, and lack of privacy, often with high security risks. ™ Cryptocurrency (HIC) is a new form of a decentralized Online Payment System, based on the X13 platform and is not controlled by any central authorities. HIC was created as a new method of payment for online travel services. The HI-TEK travel platform offer our global customers in multiple languages, including the Vietnamese visa registrations, over 800,000 hotels worldwide, 150,000 flights daily; car rentals, cruises and entertainment at www.Prebook.com; www.Travel.vn at deep discounted rates for our members. At transaction time, money from the Customer’s account will go directly to the Service Providers, and not through any Intermediary, saving customers time, money, and their privacy. The HI-TEK Team has more than 20 years of experience in building and developing online payment solutions which are the foundation of introducing the HIC. HIC is created with the purpose of providing an alternative payment method for those 70% worldwide travelers without credit cards; especially in Asian countries (Vietnam, Japan, South Korea, Singapore, Philippines, Laos, Hong Kong, UAE, Malaysia, India, China, etc…). Now, approximately 4 billion people will have a better way to book their travel using our premier online travel portals. We intend to sign up worldwide travel partners and service providers to use this secured HIC merchant payment system too. Furthermore, we are developing our own Cryptocurrency Exchange to support our HIC and many other coins. Our proprietary HIC Exchange platform has mandatory Veriﬁcation KYC – AML and is a One-Stop-Solution for the entire crypto industry. We aim to create a centralized, flexible, informative and safe exchange for everybody to use and make money. What does this all mean for you and me, as both consumers and businesspeople? Quite frankly, it can be a windfall. Specifically, if you purchase the Travel Token through their App Online, you will be registered in their Blockchain with all of the Security Protocols (KYC, et al) in place for the safety of all. Your purchase of the Tokens provides you the means of a direct and seamless purchase of virtually unlimited travel benefits and at prices that are not available to the traditional consumer (20%-70% discounts from the best Internet rates). Of great interest should be that within 3 months time, our Travel Token will be listed on an Exchange that will allow both the anticipated appreciation and liquidy for the Travel Tokens. This Utility Coin is 100% "premined" so there will never be more than have now been "mined," therefore scarcity is a future factor. The Travel Token will be able to be exchanged for various Cryptocurrency (Bitcoin et al) as well as Fiat, through the new Exchange. When the expansive market envisioned for this unique product is manifested...it is only natural to assume its desirability will propel its value...always redeemable for the "Travel Credits" it was designed for. In short...this very powerful new entry into the world of Crypto, utilizing the Utility Token format truly is..."Having Your Cake and Eating it Too!" Learn about my 4 decade-long journey into the world of entrepreneurship at www.peterjburns3.com. Posted on August 29, 2018 by Peter Burns III. Peter J. Burns III: The World's First Travel Token - Why Travel Any Other Way!? Travel & Tourism is one of the world’s largest industries, contributing 7.6 trillion USD to the global economy in 2016, in which online travel booking was 565B USD. Travelers can quickly search and book their hotels, cruises, flights … online rather than booking via travel agencies. The money that visitors use for booking must go through a provider of intermediary (OTA) or payment services (Banks, Paypal, VISA, MASTERCARD…) and then reach the service providers with long wait duration, foreign currency exchange, high fees, no privacy and higher security risk. The HI-TEK Team has more than 20 years of experience in building and developing online payment solutions which are the foundation of introducing the HIC. HIC is created with the purpose of providing an alternative payment method for 70% no credit card worldwide travelers especially in Asia countries (Vietnam, Japan, South Korea, Singapore, Philippines, Laos, Hong Kong, UAE, Malaysia, India, China), making the best way to book at our premier booking portals. We intend to sign up worldwide travel partners and service providers to use this secured HIC merchant payment system. The idea to create an exchange was born when we learned that many users have to register to the dozen of exchanges to trade several coins, and so to overcome that and provide robust services to users we started building on our sole exchange. HIC exchanges is required KYC – AML. Our exchange platform will provide One-Stop-Solution for the entire crypto industry. We aim to create centralized, easy to use and safe exchange that can be used everywhere by everybody worldwide. 1. What is a HI-TEKCoin Cryptocurrency and how does it work? 2. Why do we need Blockchain in the tourism? Blockchain technology allows the creation of a decentralized digital economy that doesn’t rely on a third party to function. That cutting-edge innovation allows for our protocol/token, HIC, to be a non-dilutive alternative to traditional booking schemes, while allowing value to be shared amongst the eco-system participants. This is what allows us to eliminate the 15-20% commission charges you would see from other Online Travel Agency (OTA) companies. Our HIC TravelPay™ payments system by using blockchain technology can save our customers at least 5% from Visa and Master Card, American Express transaction fee on every booking or transaction through our entire online booking platform. 3. Will HIC be traded on exchanges? HI-TEKCoin Cryptocurrency holders can use them in transactions and trades, in the same way, that you use fiat currency. Due to its decentralized nature, there’s nothing to prevent any token holder from transferring HIC tokens freely and release them on the secondary market. 4. Where and how can I purchase HIC? HI-TEKCoin Cryptocurrency (also known as HIC - 100% Backed by Travel Services at https://Travel.vn and https://Prebook.com) is the World's First Live Blockchain-Based Travel Ecosystem that is used as a medium of exchange between traveler and booking vendors within the HI-TEK TravelPay™ Ecosystem. HIC can be purchased at www.hi-tek.io, which sales to general public starts on September 01, 2018. I turned 62 only three weeks ago. That has marked 43 continuous years on my entrepreneurial journey. Of course, I'm not even slowing down....like a Great White Shark, I would drown if I ever stopped my forward motion. However, a conversation yesterday that I had with my partner in my recent Vietnamese venture gave me pause for thought. My partner said that this enormous undertaking with his country of origin (Vietnam), was actually his "Last Hurrah." The culmination of his twenty plus years in cultivating the "powers that be" in Vietnam, the subsequently being granted a 50 year license to operate that Country's Internet, the exclusive right to process online VISAs, the task of writing Vietnam's Blockchain and Cryptocurrency protocols and the recent issuance of the only accepted Utility Coin in that Country... had set the solid foundation from which to execute what is now unfolding, as we speak. For my part, I had brought the state-of-the-art travel platform with 1 million hotels and 180 airlines with pricing 20%-70% less than the best Internet rates...available only through accepted Closed User Groups (CUGs). I also brought multiple Strategic Alliances as well as the expansion capital ($1 million) to build out their Utility Coin's very own Exchange, so that they could monetize their unique Travel Tokens and benefit from its inevitable rise in value. I received a generous 10 year contract to participate in the revenue generated both from the travel as well as the VISAs granted to the millions of visitors to Vietnam (13 million in 2017 and growing). For the equity investment I had facilitated, I also earned a "seat at the table" as a stakeholder in the Company and options on millions of dollars of the Utility Coin. In short...this too is likely my own "Last Hurrah." The great part is that this opportunity to actually partner with the Country of Vietnam is unprecedented in my 4 decades long history of 150 start-ups and as such, there are any number of significant verticals that I can both create and deploy. With the secure foundation of an existing enterprise, bolstered by exclusive Government contracts and endorsements, plenty of capital and extraordinary cash flow...my own interests have never been more firmly entrenched and scaleable to heights never even imagined. In short, becoming a bona fide "Billionaire" is not only within reach but as fantastic as this may seem...even likely, given the many pieces in place. As my "Last Hurrah" comes to fruition, I must reflect both on the path coming before...and ahead. The "Twilight" of both my life and entrepreneurial journey is at its final chapter. Now, of course I hope that this chapter is a long one that will extend to a couple of decades but...like my Vietnamese partner indicated in our conversation yesterday, we are both at a time and place in our lives that "staying the course" in this current endeavor, focusing, executing and improving is the very best endeavor that we can both dedicate ourselves to. I agree. To that end, I am meeting with my Estate and Tax Planning experts within days. I have seven infant grandchildren (the 8th on its way!) and in 15 years or so...each starts University. I am funding all of their educations with a series of investments and a Generation-Skipping Trust. Likewise, I am busy creating an organization that will both mentor and fund young entrepreneurs so that they can have the chance for the self-empowerment and self-reliance of owning their own businesses...like I did myself, as a mere teenager long ago. I have traveled the World...and will continue to do so. I have volunteered in Ethiopia for a time and will seek opportunities to volunteer again. I taught entrepreneurship as an Adjunct and will do so again. I live in the nicest place I've ever "hung my hat" and will likely remain here...but maybe not. Life is full of choices and I am far from becoming idle...even as my Fortune far exceeds any expectations that I may have had before. After all...I really am an Apex Predator in the entrepreneurial sense and like my Ocean dwelling counterpart...I simply must keep moving forward. Posted on August 24, 2018 by Peter Burns III. Below is my video from this afternoon by the Pacific Ocean where I make my home outlining how I am now involved in brokering Buyer Manadates and Seller Mandates of Bitcoin. Underneath the video are examples of actual transactions offers (both Buyers and Sellers) that are on our new Listing Service. Looking for Direct to Mandate or Mandate of Buyers and Sellers with chains of up to 2 prior to our introduction service. Experience with previous trades is also a plus. Also must "have the signatures of two Bank Officers and a stamp from the bank." Buyer shall receive satoshi within 24-48 hours after submitting POF. "I am the intermediary of the Buyer's side with direct contact with the Mandate of the Buyer." Multiple Buyers Location: USA, New Zealand, England, Switzerland and Dubai. "Seller is a syndicate organization that sells on behalf of multiple sellers"
Procedure: "Sign SPA with IMFPA, Buyer provides POF (recent bank statement) KYC Seller provides POC (satoshi or internal transfer) KYC Discount"
•seller signs and provides kyc. •Conference call to discuss details..
(Trench test can be 500 to 1000 BTC)"
Reach out to me, Peter Burns, at peter@entcreditcard.com if you wish to learn more. Posted on July 31, 2018 by Peter Burns III. Peter J. Burns III: Good Morning Vietnam!...& Asia Too!!! Over lunch today at my new favorite La Jolla spot, Cafe Milano, my Vietnamese friend and business partner discussed the very exciting developments of the rapidly growing new travel company, Travel.VN. Through a series of key introductions and "connecting the dots," I was able to pave the way for my Vietnamese friends to utilize their massive connections in Vietnam and to formulate what poses to become the largest travel enterprise in Asia...starting with the country of Vietnam. My partners, who literally brought the Internet to Vietnam 23 years ago...have a 50 year exclusive right to manage the Internet...making them the equivalent of "Go Daddy" and Cyber Security for Homeland Security for Vietnam. In addition, they have the exclusive right to offer Online VISAs to Vietnam from 45 countries as well as the invitation to write the protocols for Blockchain and Cryptocurrency for the country. These sweeping privileges make my partners uniquely qualified to champion new innovations for Vietnam..through their exensive and deep-seated Governmental connections. Of course, this presented yet another start-up concept...offering my deal-making services and extensive partnership with my well-connected Vietnamese partners to American Capitalists seeking to break into the Asian markets. With access to literally every top level Governmental Authority in Vietnam...(even extending to the top decision makers in Laos, Cambodia and Myanmar) my partners and I are now able to offer the ability for innovative US Capitalists wishing to bring their proposals for implementation into the Asian markets. The Biggest Deal I Have Ever Done! In 2013 I first tried my hand in the international markets when I volunteered to be the Entrepreneur-In-Residence for a large NGO in Ethiopia. (see www.expatrepreneur.us) Now, in 2018...I am expanding upon that initial "International Effort"... this time to the Asian Markets. Visit www.peterjburns3.com to follow my "Adventures in Capitalism" these past 42 years. Posted on July 18, 2018 by Peter Burns III. I do my best thinking in the morning...courtesy of my first and second cup of coffee. As a "newbie" to the cryptocurrency mining world, I recently established a "Company Store" offering financing for rigs and insurance coverage from a new Captive Insurance Entity (https://www.linkedin.com/pulse/cryptocurrency-mining-company-store-peter-burns/). I've been watching the massively fluctuating pricing of Bitcoin et al, lately. That fluctuation has caused great consternation in many of the industry lightweights but like in the Cannabis business, I say that the "stay and hold" players will ultimately win. I am also in the "Cannabis Banking" business providing financial services (VISA/MC processing, etc.) for Dispensaries and Growers. (www.cannabizinsiders.com) and not to long ago watched from the sidelines as the industry "puckered" over the seesaw effect from the Cole Amendment being thrown out by Sessions...followed by a tepid reversal by some of the Feds regarding the "legality" of the Cannabis business regulated by the States. I wrote a blog that shared my thoughts about the "run and hide" attitude of the many, while the "smart money" stayed on course. (https://www.linkedin.com/pulse/sky-falling-peter-burns/). In my opinion, the same situation exists today in cryptocurrency as the "weak sisters" get weeded out like they did in the Cannabis Industry. The subject for my blog today is how can one like myself, "Connect the Dots for Profit" in this current environment? To that end, today, I am going to assemble a series of former innovations aligned to new ones to try and "solve" the issue of creating a solid financial strategy for the massively fluctuating cryptocurrency world. In my search for locating the cryptocurrency miners that offer the best rigs and software that "mine" select cryptocurrencies, I've found a whole lot of variance on cost of the rigs and services to produce the passive income I seek for placing investments. In addition to the plethora of "cryptocoins," there are different types of rigs as well as the mining software that will ultimately produce the income I seek. At this point, I believe I have determined 3 viable cryptocurrency mining rig manufacturers and operators. There are costs involved besides the acquisiton of the mining units. These include but are not limited to the hosting and revenue sharing from the mining operators. The variable of energy cost is also a major factor. The passive income can be earned from the "real time" generation of cryptcoins and the "cashing out" of same from the eWallet that captures the generated cryptocoins. The upside, of course, is the expected and hoped-for appreciation of the cryptocoins inventory generated. This is achieved on a "generate and hold" strategy for a portion of the cryptocoins produced. As I mentioned before, the almighty ROI is determined by the actual investment. If that investment is leveraged in the form of manageable debt or even through another creative resource, that ROI is maximized in a nearly infinite manner. I believe that I have two former "dots" to connect to achieve just this. First, around 12 years ago, I created an engineering marketing company in the little known IRS-sanctioned Cost Segregation Study vertical. Any eligible commercial property (or even a residential rental property) owned by a US Taxpayer could have a Cost Segregation study performed, yielding tax benefits that can be converted to investment capital. Since the "cost" of producing this investment capital is virtually nothing, the yield of the cryptocurrency mining is virtually exponential. You can learn exactly what I am proposing to generate this investment capital by visiting www.hlcostseg.com. Secondly, 18 months ago I launched the "Entrepreneur Credit Card," a powerful and unique FinTech product that can produce significant unsecured debt capital. This debt capital comes with 0% interest for between 12-21 months and is attached to a revolving line of credit of up to $175,000 for qualified applicants. See www.entcreditcard.com/imagine for the particulars. Since the "Investment" is with so little actual cost and the upside, so potentially high...even a small return* is magnified because of the mitigation of the cost of capital. Learn all about my suggested "Program" on my new start-up's website at www.cryptechalchemy.com. While the digital currency market is no exact science, we make every effort to accurately represent the potential earnings one can obtain. It should be noted that earnings and income from our state-of- the-art optimized “Easy Box” (Artificial intelligence AI)/Rendering/Machine Learning/Data Mining/Crypto-mining) are estimates only and what we believe can be earned. It is not guaranteed that anyone will earn the levels of income stated herewith, and one must accept the risk that the earnings and income may vary per individual. The results one may acquire can differ based on many variables such as an increases/decreases in the market, number of Easy Boxes, how often the Easy Box is performing its many functions in addition to mining Cryptocurrency, etc. Users have a greater potential to increase their earnings by setting forth additional effort within the Easy. As with any specialized market, there is no assurance of any past earnings being replicated in the future. In this industry there are risks and we cannot guarantee one’s future results and/or success based on previous outcomes. Of course, there are unknown risks and we cannot foresee which may impact one’s outcomes. We are not responsible for the presence of any risks and one’s actions. Next, I took my 40 year old "formula" of establishing an Insurance Captive (see link below) and as of yesterday, found a large insurance brokerage firm willing to back my concept of offering a full service insurance package for literally each facet of cryptocurrency mining. This "package," which will be offered by our very own "Captive," will strive to mitigate nearly every perceived risk involved in this exciting new industry...actually becoming, the first such offering of its kind. The premise of this blog is that by offering the combination of our unique crytocurrency mining financing and now the full coverage insurance to the cryptocurrency mining industry...we have created a kind of "Cryptocurrency Company Store," replicating the proverbial "Company Store" of the Califorina Gold Rush Era. Instead of pickaxes and shovels that supported the Gold Miners of the Gold Rush era...we are providing the "tools" of financing and insurance to the Crypto Miners of today. I think it is a perfect analogy. Should all you cryptocurrency mining afficinodos be interested in "mining" machine purchase financing and full insurance coverage for your rigs and operation, reach out to me at peter@entcreditcard.com. Peter J. Burns III: Crypto Perpetual Money Machine? I love to create opportunities that when acted on...turn into "for profit" enterprises. Truth be told, while the ideas may be excellent...most efforts don't manifest into the hoped-for profitability. However, once in awhile a certain percentage of these "Ah Ha" moments turns into a great deal of money...and very, very fast. In the past month or so, my idea of joining state-of-the-art cryptocurrency mining machines with my already proven unsecured credit granting facility (www.entcreditcard.com/imagine) has already resulted in $1,500,000 in approved lines of credit to purchase hundreds of machines that collectively will generate literally millions of dollars in steady passive incomes* for the machine owner, the crypto-pool miner and, of course...yours truly. This is my new venture's website...www.cryptechalchemy.com. As I dive deeper into the incredible opportunity for me to provide 100% unsecured financing at extremely favorable terms to virtually anyone (see www.entcredit.com) and move these individuals into a remarkable (virtually) passive income generating venture*...the opportunities abound. Just this morning, for instance, I met with one of my friends, an accomplished Financial Planner, who reads my blogs and wanted to catch up over lattes at my new coffee shop in La Jolla. 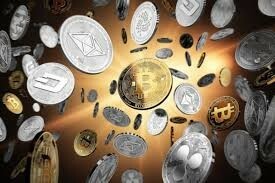 Like for many in the Financial Industry, the cryptocurrency phenomenon is a mystery, and that while tempting in its sheer magnitude...it is simply too esoteric for most to grasp, let alone dive into on behalf of themselves and especially for their clients. Still, when I laid out what I was doing...offering preferential (and proven-$250 million funded in 1 1/2 years from my Underwriter, financing) to purchase the income generating* cryptocurrency-mining machines...he could not help but become intrigued. Next, I met with two young ladies of my recent acquaintance, Millennials both and each burdened with the "hamster wheel" situation of being in debt from school loans and compelled to take any job, often not in their field of study to simply survive to pay back their debts and try to get ahead. Sad to say, I've seen this oft-repeated scenario in all but the savviest (or luckiest) young person with an average of $50,000 in school loan debt (and much more in credit cards, etc) as they struggle to survive and try to thrive in the world on their own. In a previous blog, written before my latest innovation, I explored how I hoped to empower (some) Millenials. Inevitably, the case with each young lady was that each was burdened with school (and other debt), each had relatively low paying employment and each had big dreams that had not yet been crushed with the so-called "Reality" of never getting ahead. I yearned to help and when I shared my strategy of offering the "answer" to each young lady, each was very excited to embrace my "Moving Forward Project." I am well aware that my rather lofty aspirations may seem overly ambitious or simplistic..especially when all of the nerdy naysayers try to poke holes in what I am proposing but the fact remains...I have been going up against the "conventional norm" my whole life...and kicking the "conventional norm's" hindquarters...for 42 years now. ﻿Today, I "broke in" my new coffee place in La Jolla (https://www.youtube.com/watch?time_continue=7&v=vGLMvZ1vYwo). I hosted two cryptocurrency mining machine buyers ($500,000) coming in from Oklahoma, introduced by one of our "Crypto Chicks" (https://www.linkedin.com/pulse/our-very-own-crypto-chicks-hit-out-parkalready-peter-burns/), my two financier partners from Phoenix (who committed over $1 million in funding to my crypto machine buyers this past week), an insurance executive from one of the world's largest brokers entering into crypto coverage and the man behind the best cryptocurrency mining machine ever launched. Our beautiful and talented hostess made sure we had our delicious refreshments. We were "fueled" with our great coffee and lattes and treated to a selection of our Vietnamese Bakery friends' absolutely delicious freshly baked pastries. The gang started gathering at 9 am and broke around 1 pm...the conversation and in-depth "information dump" flew by. Each one of our participants left the "Summit" energized and ready to tackle their own facet of the mission ahead...create the fastest growing, most comprehensive cryptocurrency mining consortium on the planet. I am coming off a recent "closing" of what was the largest transaction in my 4 decades long entrepreneurial career...a joint venture of sorts with the Government of Vietnam in the travel sector. My "Spidey Sense" indicates that this new venture in cryptocurrency mining will equal or dwarf that deal and no matter what...it is certainly going to be a lot of fun. It's also a heck of a way to "baptize" my new gathering place for entrepreneurs at the "La Jolla Coffee Club" at Cafe Milano! Peter J. Burns III: Who Wants To Be One Of My Early Adopters? In the last several weeks, I have learned a great deal about cryptocurrency-mining. In learning about the incredibly profitable potential...I literally moved the opportunity to an entirely new level of profitability...by creating the 100% financing package of multiple state-of-the-art crypto-mining machines through my lender to qualified candidates. With the advent of some key financing modifications, we can now repair and enhance your credit in order to qualify, as well as offer a bridge loan for the reduction of your current debt load... to qualify for our unique funding. Please review our new website and the blogs on the links below. You will receive a good "education" on the opportunity at hand. Peter J. Burns III: Our Very Own "Crypto Chicks" Hit It Out Of The Park! Our "Crypto Chicks," Amber and Kayla just brought in a family friend, who is an accomplished crypto-coin day trader. After hearing the girls' experience and reading everything regarding our 3-week old program, this entrepreneur went through our financing process and received a loan commitment of $250,000...which he is committing into acquiring our "machines." What is more, this gentleman, who had successfully started 15 of his friends in the crypto-coin day trading field...has already shared his plans with his fellow crypto buddies and is very confident that most, if not all, will follow his lead, borrow our money and invest in our "machines" too. The original premise that our "Crypto Chicks'" growing celebrity, coupled with their positive experiences in this endeavor, personally..would allow them to profit mightily in referrals that resulted in sales to us...is already manifesting!